We are proud to present ICCG Close-Up, sponsored by RoundWorld Solutions. ICCG Close-Up is a Fortune 1000 CXO Interview Panel Series that focuses on Governance, Big Data, Supply Chain Analytics, Enterprise Mobility, and Portfolio Management – where C-Level executives share their views on their main areas of priority, the challenges associated with those areas, and their future plans to address those challenges. ICCG (Industry Council for Competitiveness and Globalization) is a 501C (6) non-profit organization with a network of CXOs/professionals dedicated to identifying, sharing, and establishing strategies to compete in a global economy. ICCG’s objectives include cultivating communications and networking opportunities amongst its members, defining and establishing best practices and ethical standards, and creating & maintaining a link between business leaders and devising global strategies. These objectives are accomplished through events, presentations, roundtables, focus groups, and committees organized and sponsored by ICCG. One of ICCG’s missions is to serve underrepresented communities and the people who live within those communities. The ICCG network accomplishes this mission by leveraging its relationships and network to help build better local business ecosystems, ensure future local job growth, and create local internship opportunities. San Diego – ICCG hosts the Fortune 1000 CXO Knowledge Video Vault Program which serves a broad audience of C-Suite office bearers and professionals for sharing the innovative and collective knowledge related to IoT (Internet of Things) and Big Data, mainly in the context of Big Data Governance, Big Data Security, Big Data Visualization, and Big Data Mobility in various domains, including Healthcare, Manufacturing, Life Sciences, Finance, and Retail. “Our Fortune 1000 CXOs have a unique platform to share, promote, and exchange best practices in many domains of knowledge that are transferrable and adaptable, so that the CXOs can learn from each other and not have to reinvent the wheel,” says Ajay Sarkar, who heads ICCG (iccgusa.org) along with Round world Solutions(www.roundworldsolutions.com). At the heart of the ICCG (ICCGUSA.org) Fortune 1000 CXO Video Vault is the library of CXO wisdom on various topics from Big Data to Data Governance in various industry verticals such as Healthcare, Manufacturing, Life Sciences, Finance, and Retail. These short and informative videos incorporate a global perspective with local flavor and focus. To get involved in the Fortune 1000 CXO Video Vault Project or to share your CXO knowledge, please contact ICCG (www.iccgusa.org). RoundWorld Solutions (www.roundworldsolutions.com) is the proud sponsor of the Industry Council for Competitiveness and Globalization, ICCG. 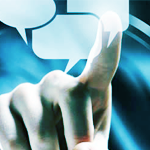 RoundWorld Solutions is a global IT Consulting and Execution Firm with a ‘Best in Class’ proven track record with a global delivery model. Headquartered in beautiful San Diego County, California, with a global reach, RoundWorld Solutions provides IT consulting services, BPO services, software development services, and staff augmentation, which are always customized to cater to the needs of each and individual client. Whether your organization is in Healthcare, Life Sciences, Retail, Manufacturing, or Finance, RoundWorld Solutions has the expertise to assist you in meeting urgent deadlines, support special projects, or even the creation of new development teams. 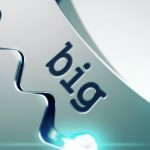 RoundWorld Solutions is a leader in IT Consulting within the arena of Big Data — specifically in Big Data Visualization, Big Data Governance, Big Data Security, Big Data Mobility, and Big Data – Social Media. 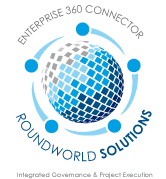 RoundWorld Solutions’ C-Suite 360 Degree Business Strategy tool is specifically tailored to meet the needs of CXOs. By utilizing the RoundWorld Solutions’ C-Suite 360 Degree Business Strategy tool, organizations can seamlessly align their Strategic Business Initiatives, Company-Wide Programs, and Numerous Projects. This unified view results in Business Benefit Realization, Cost Savings, Matrices, Milestones, and Revenue Generation (www.roundworldsolutions.com). This customizable and template-driven C-Suite 360 Degree Business Strategy tool provides a top-down visualization view of systems, processes, and corporate initiatives, while also taking into account the corporate culture within your organization. RoundWorld Solutions can also equip your firm with recommended approaches and processes that maintain compliance and privacy requirements, while also protecting customers’ sensitive personal & financial data. Our C-Suite 360 Degree Business Strategy tool can determine the level of risk at every level of security management and provides a window into how targeted information might be used by cyber criminals in an ever-changing threat environment. 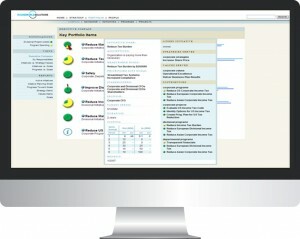 Our CXO tool with its dynamic predictive analytics and data modeling capabilities provides solutions by extrapolating inefficiencies and duplication of efforts within your global supply chain, manufacturing operations, FDA clinical trials, international tax implications, M&A&D transactions, and portfolio management. This is just a snapshot of the countless use cases of our C-Suite 360 Degree Business Strategy tool. Our tool is customizable and scalable, and can be utilized within various verticals such as Healthcare, Life Sciences, Finance, Retail, and Manufacturing. 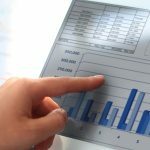 Let us show you how our tool can extrapolate, process, interpret, analyze, transform, and monetize your overwhelming organizational data.